Noemi is a young and fearless soldier of Genesis, a colony planet of a dying Earth. But the citizens of Genesis are rising up, they know that Earth's settlers will only destroy this planet the way they destroyed their own. And so a terrible war has begun. When Noemi meets Abel, one of Earth's robotic mech warriors, she realizes that Abel himself may provide the key to Genesis' salvation. Abel is bound by his programming to obey her, even though her plan could result in his destruction. But Abel is no ordinary mech. He's a unique prototype, one with greater intelligence, skill and strength than any other. More than that, he has begun to develop emotions, a personality and even dreams. Noemi begins to realise that if Abel is less than human, he is more than a machine. If she destroys him, is it murder? And can a cold blooded murder be redeemed by the protection of a world? Stranded together in space, they go on a whirlwind adventure through Earth's various colony worlds, alongside the countless Vagabonds who have given up planetary life altogether and sail forever between the stars. Each step brings them closer, both to each other and to the terrible decision Noemi will have to make about her world's fate, and Abel's. The Earth is dying. Countless generations of Earth residents have survived famine, contamination and the consumption of resources. Genesis is environmentally conscious and a sustainable civilisation, believed to be technologically inferior. The young inhabitants of Genesis have been conscripted for the Masada Run, a suicidal mission against the mechanised humanoid military technology, artificially intelligent beings sent to decimate Genesis assembly in order to recolonise the planet. Noemi is a wonderful character, abrasive, determined and willing to self sacrifice for the preservation of Genesis. Seeking medical attention, Noemi embarks upon the Daedalus, the abandoned, aging and debilitated Earth spacecraft. Noemi is human, her Polynesian and Latin American ancestry the only remnants of her biological genealogy. Abel has lived isolated on board the Daedalus for decades, his father and crew members having abandoned the vessel leaving Abel behind. Abel is a prototype of entrepreneur Burton Mansfield, creator of mechanised humanoid military technology. In isolation for thirty years has allowed Abel's technology to evolve, humanised emotions, to dream and through evolution, Noemi and Abel develop a tentative amnesty. One aspect I really appreciated was the subtle discussion of religious spirituality and empirical science. Noemi follows the teachings of the Second Catholic Church of Genesis, her interactions with Abel were approached without intolerance. I enjoyed Noemi and Abel's comfortable companionship, a gentle progression as Abel discovers his own humanity. Delicate and captivating. Greenhouse gas emissions, depletion of natural resources and increased population and pollution have led to the environmental decimation of Earth and Defy The Stars explores scientific, spiritualistic and environmental aspects of humanity. 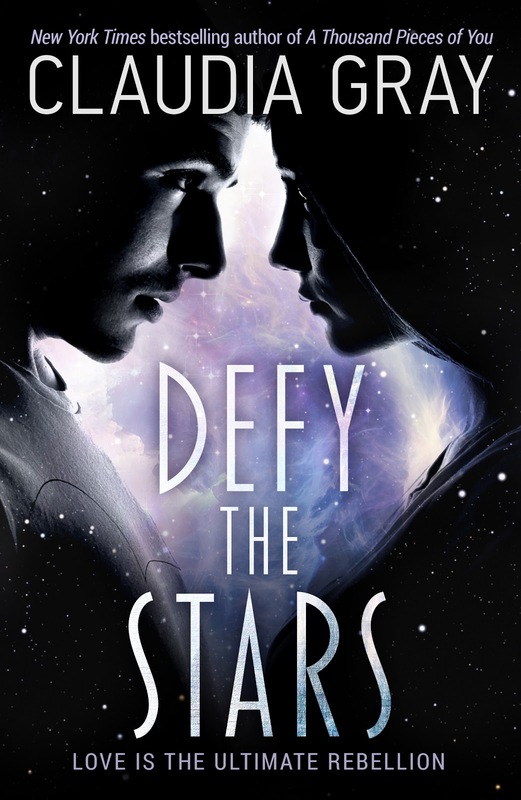 Defy The Stars is spectacularly atmospheric, captivating and breathtakingly celestial. We are this world. Its next generation. If you’re not trying to save us, then what exactly are you trying to save? I loved this one too! It was so interesting. I loved the dynamic of the worlds, although the more I think about it the more I'm confsued as to why everyone hates Genesis so much. I loved the character relationships. And I loved the Mechs, they were such a cool idea. The science-y stuff was really intriguing! I think it might be because they're putting up a resistance. With the Earth dying and new worlds being colonised, Genesis in comparison offers a clean environment with very little impact, they reuse and recycle. That's one aspect I enjoy about Claudia Gray novels, the scientific elements and fantasy like time or space travel are easy to understand and allows you to immerse yourself. So glad you enjoyed it too Jordon. It's brilliant Joy. I expected more romance but it's such a slow burn attraction and a comfortable companionship. Part survival, part space thriller, part adventure. I really enjoyed it. I found their interactions really interesting and how Noemi questioned her religious beliefs of the Second Catholic Church. It's subtly woven throughout the storyline. It also touches upon environmental issues. It's not technically a romance but there is definitely a slow burning attraction between the two. I'd love to see what you think of it! I haven't read anything by her before and this sounds like a book I would enjoy a lot. Definitely a must read for science fiction and space opera fans Karen, really enjoyed it. It's wonderful Ailyn, would love to see what you think of it! This is an ambitious plot, thoughtful too. I don't quite know if it's my cup of tea, but I can appreciat that goodness! It's ambitious but so wonderfully written Verushka. Claudia Gray takes what seems like a complex storyline and simplifies it so wonderfully well. really enjoyed it. I Must get a copy of this ASAP so I can devour it! It sounds brilliant and I'm in love with it already. Seriously I squealed out loud, the husband just looked at me like i'm barking mad. I am mad, Mad for fantastic YA sci-fi. Ok i'm going to go now and calm down. I think lack of sleep has me acting (and typing) a little hysterically. It's totally worth being barking mad over Sarah, it's a brilliant read. Yes, you must make grabby hands and find a copy! Aaah I loved Claudia Gray's Firebird trilogy so now I must read my copy of this one soon! Thanks for sharing a brilliant review as always Kelly, it's good to see that the author was able to pull off the worldbuilding once again in this one. It was glorious! I still need to read the finale and hoping to get around to finishing the series this month. She's a brilliant author and is now one of my favourites. I'm not sure about this one because sci-fi novels can be a hit or miss for me, but I am intrigued now. I'm not so sure how I'd enjoy the plot, but the characters sound really interesting and I did enjoy what I've read of Claudia Gray. Great review! Thanks for sharing! It's more of a science fiction fusion. Space opera, adventure romance. If you've enjoyed books like Illuminae or These Broken Stars, you'll adore this one. 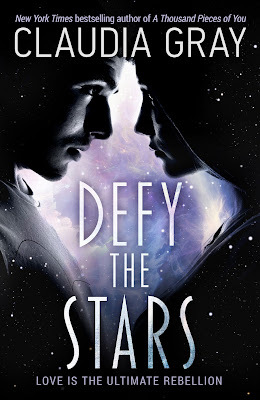 I've read so many reviews of Defy the Stars but when I started reading it, the writing was really hard to get into. I need to give it another go because it sounds totally up my alley with all the sci-fi and the technology! Lovely review Kelly! It is at the start and I struggled a little too, but after Noemi boards the abandoned ship, it really picks up the pace and is a non stop adventure from thereon. Well worth picking it up and giving it another go Jeann, this one is right up your alley.